Stephen Johnson considers the background and music to Ravel's two contrasting concertos for piano with the BBC National Orchestra of Wales and French pianist Roger Muraro. Stephen Johnson considers the background and music to Ravel's two contrasting concertos for piano with the BBC National Orchestra of Wales conducted by Pascal Rophe and French pianist Roger Muraro. Ravel's two concertos for piano were written almost simultaneously in the late 1920s, and were among the last orchestral works that Ravel composed. They are remarkable in many ways, not least for the contrast that one provides with the other. The Concerto for the Left-Hand was commissioned for the pianist Paul Wittgenstein, brother of the famous philosopher, who had lost his right arm in the First World War. Ravel created a virtuosic single movement work which emerges from the sombre depths of the orchestral to grow into a powerful statement of triumph over adversity. Stephen Johnson unpicks the piece, examining some of Ravel's imaginative writing for the left-hand. 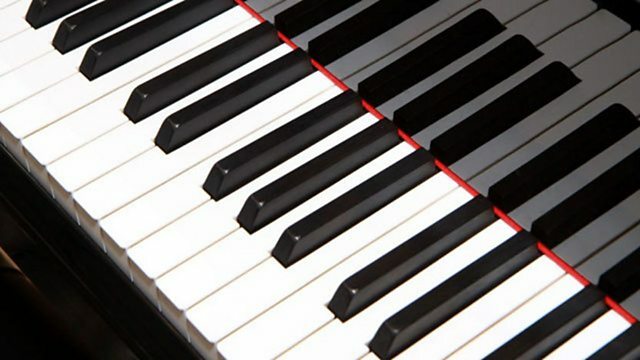 The G major Piano Concerto was written for the French pianist Marguerite Long, and is characterised with some of the fashionable sounds of the day. The three movement concerto is heavily influenced by the sounds of jazz and as Stephen Johnson argues, the sound of the Parisian music hall. Stephen also examines the influence of Mozart on the concerto, especially in the beautiful and emotionally charged slow movement. The programme includes complete performances of both works and there will be an opportunity to see a visualisation of the programme on the Discovering Music website.